The Solicitors Regulation Authority (SRA) has asked the country’s biggest law firms to explain how they prevent and respond to allegations of sexual harassment, it has emerged. The revelation came in new advice to litigators that once again highlighted the dangers of non-disclosure agreements (NDAs) and of acting as ‘hired guns’ for clients. The regulator has updated its 2015 Balancing Duties in Litigation report, which now includes a section on NDAs and harassment, covering both work done for clients and firms themselves. “We take inappropriate behaviour in the workplace very seriously,” it said. “For example, we have asked the largest firms that we regulate about how they prevent, and respond to allegations of, sexual harassment in the workplace. The warnings come as the Solicitors Disciplinary Tribunal braces itself for a big rise in sexual misconduct cases next year. We revealed last week that a 10.6% increase in the tribunal’s budget and hearing days for 2019 was mainly driven by a surge in sexual harassment cases. 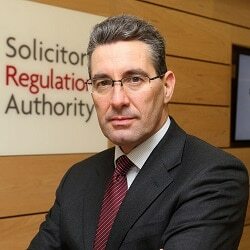 The SRA report said there had been allegations of employers threatening to give hostile references to people who refused to sign NDAs, while others had been given the impression by solicitors “that they would be imprisoned if they did not comply”. It said: “The role of solicitors in drafting NDAs in relation to allegations of harassment has received public and political attention. This attention will continue. The regulator said solicitors should not “prevent anyone from reporting offences or co-operating with a criminal investigation and other legal processes, including influencing the evidence they give” and they should not prevent people who sign an NDA from keeping a copy of the agreement. The report also dealt with holiday sickness claims, with the SRA saying it had received “numerous reports” of cases where claims had been dismissed as dishonest, leading to costs orders against claimants and criminal prosecutions. “Our concern was that firms were accepting cases from introducers who had recruited claimants by some form of cold calling, and that the firms were not investigating the merits of cases before raising them with defendants and seeking settlements. “In some of these cases, the firms were seeking unreasonable costs for a limited amount of work. Meanwhile, in the autumn update to its Risk Outlook, the SRA highlighted a 43% increase in money laundering reports in the first three-quarters of 2018 when compared to the same period last year. However, in the main Risk Outlook published in July, the SRA put the increase at that point even higher – at 70%. The SRA said there had been a 10% increase in the number of reports of misuse of client money compared to 2017, now running at an average rate of 104 per month. A third of the reports involved fraud related to property, insurance, probate, public funding or tax. 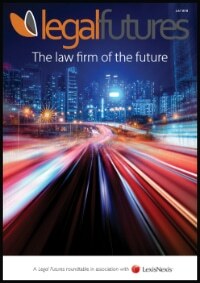 The same proportion involved conveyancing, probate or immigration work. The number of reports about solicitors acting without integrity or ethics fell in 2018, with 1,350 recorded in the first three-quarters of 2018, compared to over 2,090 for the whole of last year. Paul Philip, SRA chief executive, said: “Maintaining the correct balance between duties is not simple and all matters must be decided on the facts. Solicitors should of course advance their clients’ cases, but they are not ‘hired guns’ whose only duty is to that client. “They also owe duties to the courts, third parties and to the public interest. It is important for solicitors to recognise their wider duties and never to rationalise misconduct on the mistaken basis that their only duty is to their client, for example by including clauses in NDAs which seek to prevent lawful disclosure of harassment or discrimination.